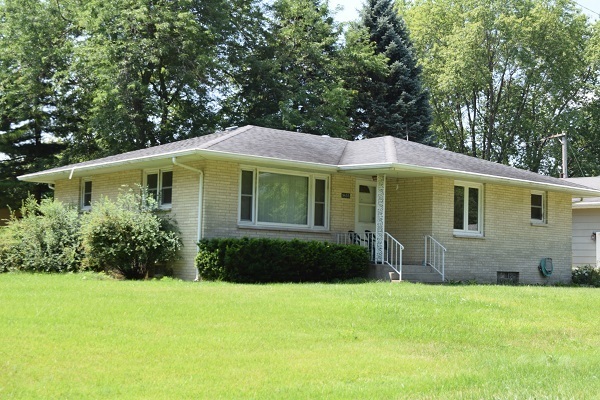 THREE BEDROOM BRICK RANCH ON CORNER LOT. FULL FINISHED BASEMENT WITH FOURTH BEDROOM & FULL BATH . CENTRAL AIR, LARGE DECK. 2.5 DETACHED CAR GARAGE, FENCED YARD. LARGE KITCHEN WITH SAMSUNG APPLIANCES.PROFESSIONAL BASKETBALL HOOP, CENTRAL VAC, BLUETOOTH COMPATIBLE BATHROOM LIGHT RADIO. ADJOINING LOT REAR OF HOME IS INCLUDED. TAX ON LOT IS 828.40.